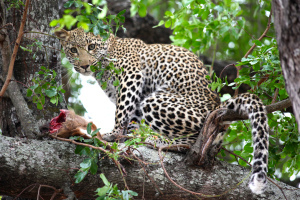 While staying at Little Bush Camp in Sabi Sabi, I had one of the most exciting sightings I’ve had viewing game in Kruger National Park. 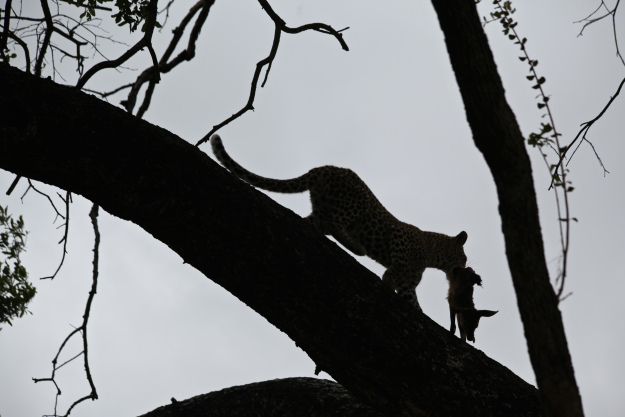 We watched as, growling out, the leopard called her cub to the small duiker kill she had hauled up into the tree. 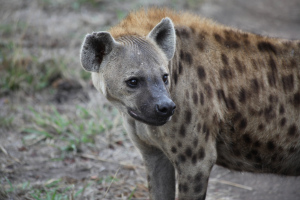 We had been on a game drive in the Sabi Sabi conservancy of Kruger National Park, in South Africa, when we saw a leopard and her cub on a kill, with hyena waiting in the bush nearby. 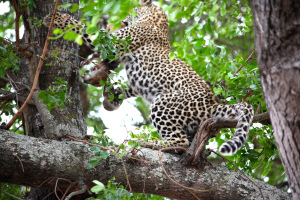 The cub was about 10 months old, playful and learning; It took the kill and toyed with it, dragging the carcass to the top of the tree and back down, then throwing the inert remains around. 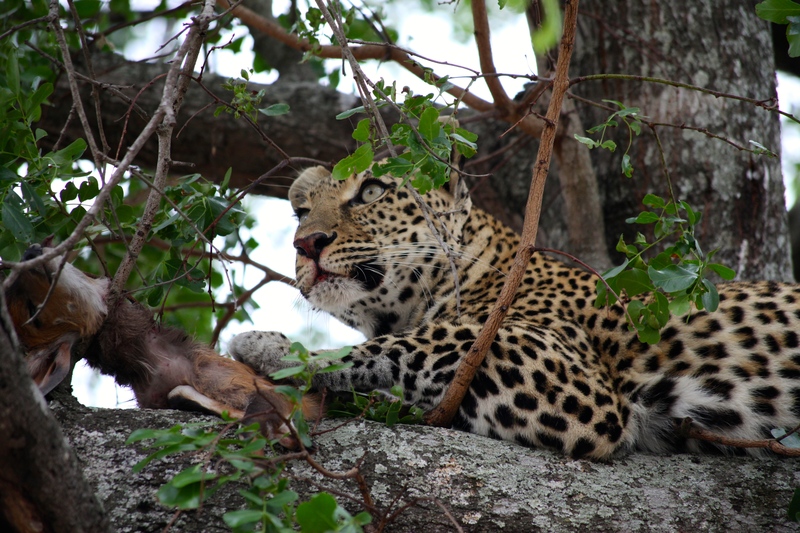 Until, inevitably, the dead duiker fell out of the tree. 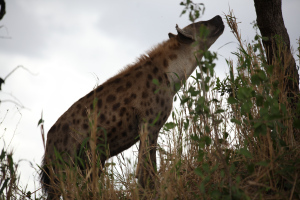 In an instant, a sloping hyena appeared lurking and sniffing – the carcass was lost in the long grass but the hyena was hoping the cub would come down to find it.